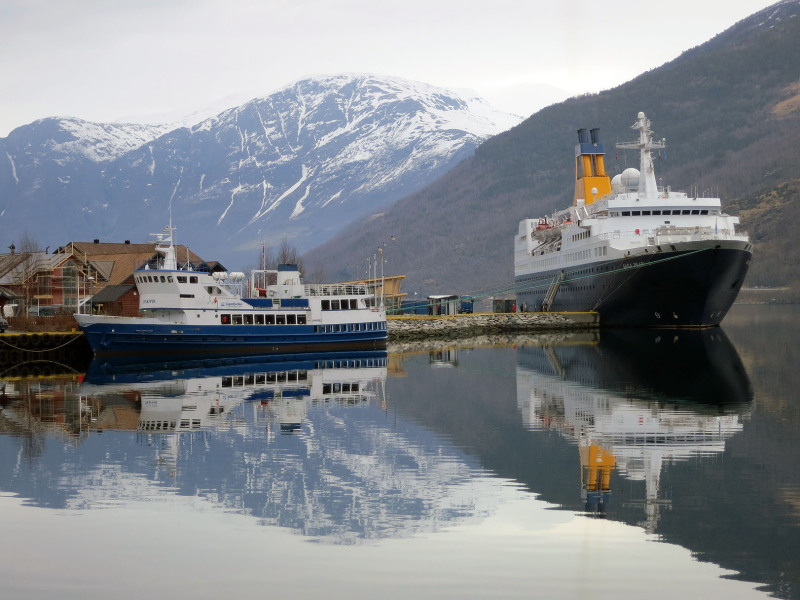 Two "oldtimers", docked at Flaam Norway, 26/3 2012. We will be at Flaam June 6. Tomas, I will let you know the date. We will be taking the train up the mountain as well. Are you serious Finn? Let me know, she is calling 8 times at Flaam, and i will live there the whole summer. HAHA, JENS! Now now now. Just wait, there are 152 ships left to photograph. 152. Wonderful pictures from Vestlandet! I will be there with my family in June. Taking the COSTA LUMINOSA.